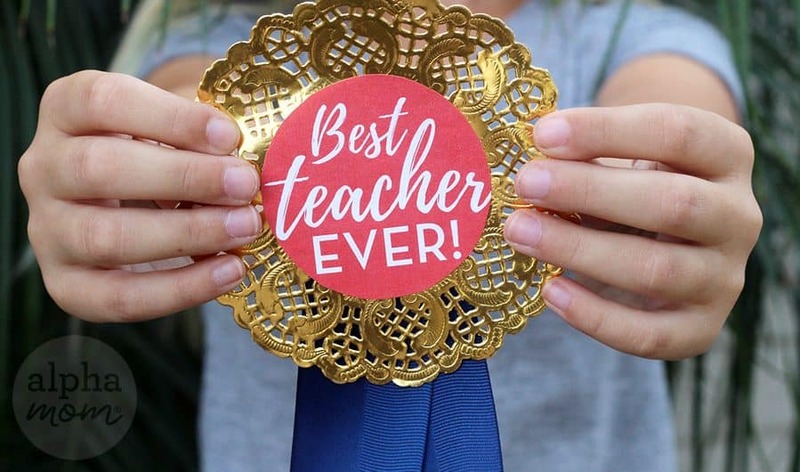 Are you looking a teacher gift, something easy and fun for your kids to give to their teachers during Teacher Appreciation, as a thank you, holiday, or for the year-end? 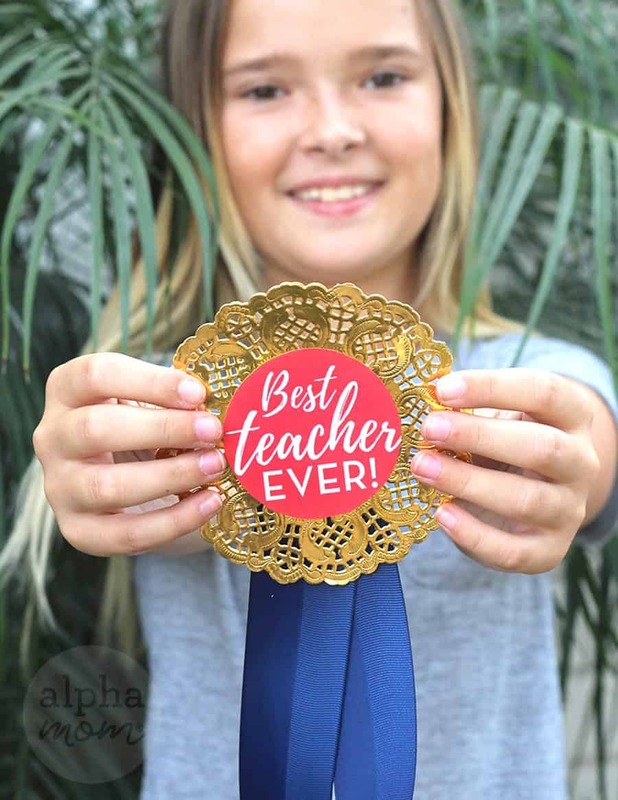 Flowers and school supplies are are nice but a Best Teacher badge and ribbon is even better! 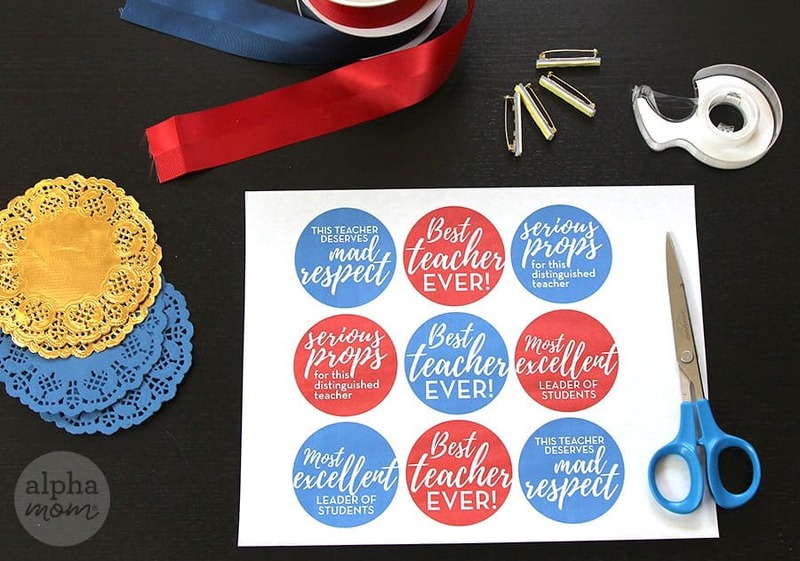 First, cut the Teacher Appreciation circles. 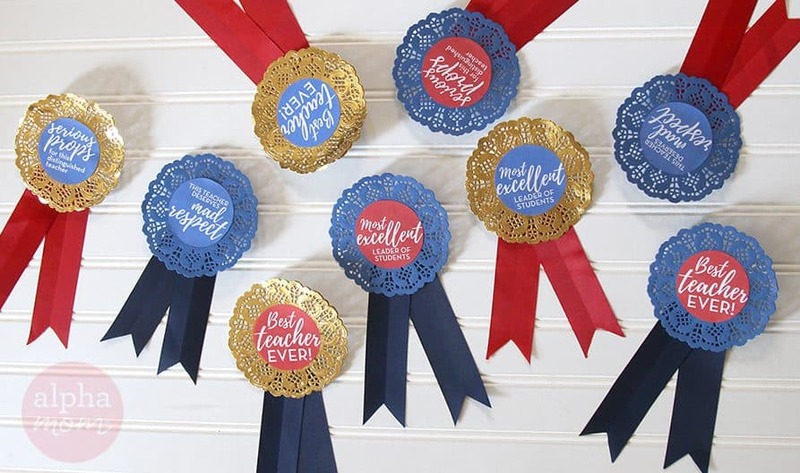 Pick the one you like best or make them all like we did and really decorate your teacher! Next, cut a 12-13 inch piece of ribbon. Fold it in half and then fold it in half again length-wise and cut across the ribbon at approximately 45 degree angle, starting at the folded side and cutting upwards toward the outer edges. (See top left photo.) 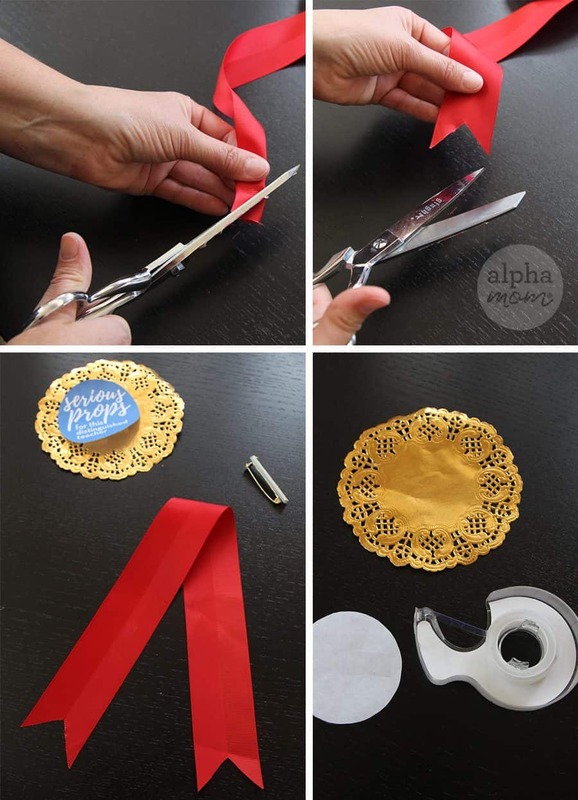 Sharp scissors work best for cutting fabric ribbon but be careful not to cut yourself! 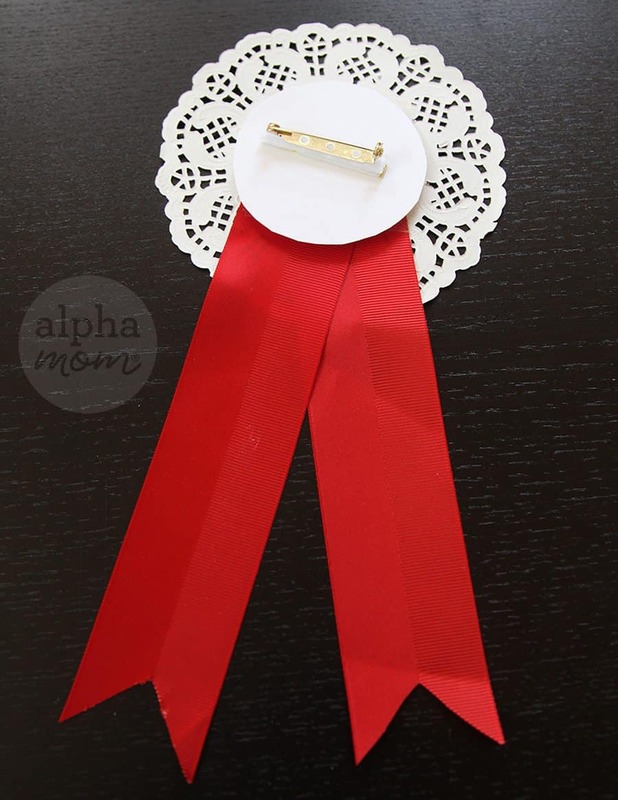 Attach your badge circle to the paper doily with double stick tape. Then tape the folded ribbon to the back side of the doily using regular tape. Make sure the long tails hang down at the bottom. You can cut another square of card stock paper to cover your folded ribbon for a more finished look on the back if you like. Then attach your sticky pin to the back of your badge like demonstrated in the picture above. 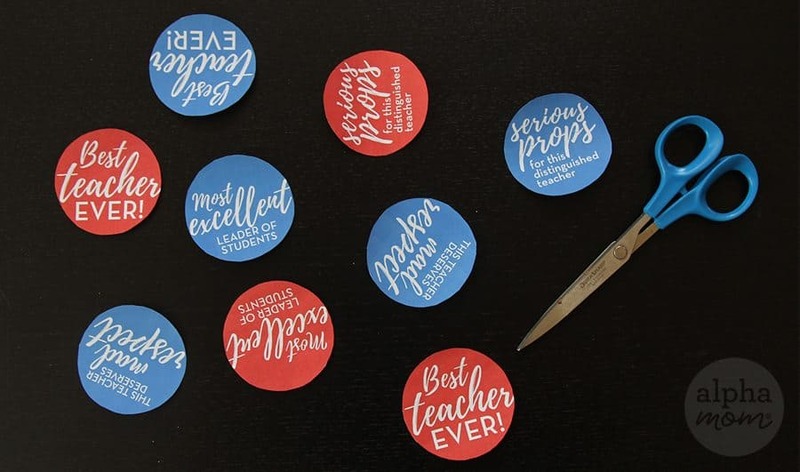 Present your Teacher Appreciation Badge to your favorite teachers and let them know how you really feel about all the hard work they do all year! Find more Teacher Appreciation gift ideas here.